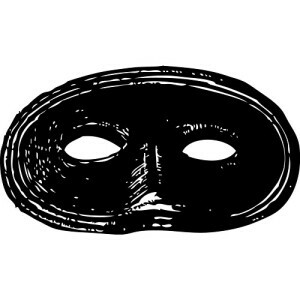 Purim is a celebration of God’s providence and Esther’s courage. The holiday falls sometime around February or March every year. In 2016, Purim is on March 24-25. Some people call Purim the “Jewish Halloween” because it is traditional to dress up in costume, eat sweets, and put on fun plays. The main part of the holiday is reading the story of Esther together with a group of friends or family. Sound fun? 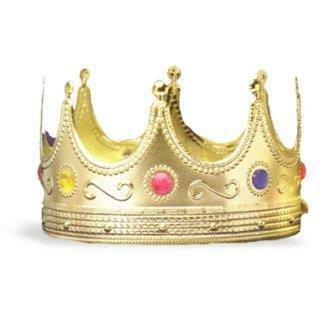 Throw on a crown and get your Bible; you can host your own Purim party! *When reading the story of Esther its tradition to shake a noisemaker and “boo” at the mention of Haman’s name. Use any of these ideas to make your own gragger. 1) Take an old soft drink bottle, empty box, coffee can, or yogurt container and fill it with rice, dried beans, or small rocks. Decorate the outside. *One fun Purim tradition is for children to dress up like kings and queens or anyone from the story of Esther. Here are some purim masks to choose from. Just print the masks that you like and decorate them. Cut the masks out and punch holes for the string to tie around your head. 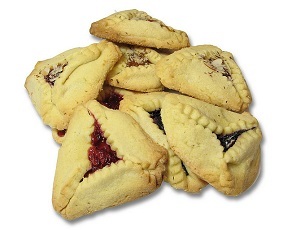 *The classic purim cookie. Yield: 4 dozen. Hint: If you don’t have time to make this cookie dough you can use store bought sugar cookie dough and filling…the trick is just making the triangle cookie. They are supposed to look like Haman’s ears! • Suggested fillings: A can of poppy seed filling is the traditional filling but you can use any filling like nutella, prune butter, strawberry jam, apricot preserves, cherry or blueberry pie filling. 1. Preheat oven to 350 degrees and grease your cookie sheet. 2. Sift all the dry ingredients togther. 3. In a seperate bowl cream the sugar, oil and shortening. Stir in 3 eggs, one at a time, vanilla, and the orange juice. 4. Add dry ingredients. Mix well. 5. Roll dough into a ball and refrigerate for one hour so it is easier to roll out. 6. Divide the dough into four parts. 7. Roll out each piece on a lightly floured surface. 8. With the rim of a glass or cookie cutter cut the dough into 3 inch circles. Place the circles on the cookie sheet. 9. Place less than a teaspoon of the filling of your choice in the middle of each circle (not too much or it will leak out). 10. Fold the three sides of the circle to the center to make a triangle. Pinch the sides to cover as much as the filling as possible. 11. Brush dough with beaten egg for glaze and sprinkle with sugar. 12. Bake for 20 minutes in preheated oven until golden brown. *When reading the story of Esther on Purim every time the name Haman is mentioned you are supposed to hollar “boo!” and rattle a gragger. King Ahasuerus ruled over the mighty land of Persia. When he needed a wife, his servants searched the land for the most beautiful women. They brought these women to the palace so the king could choose his bride. A woman named Esther was chosen. She was good and wise and very beautiful. But she was a Hebrew. 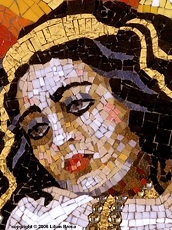 A kind relative named Mordecai had adopted Esther as a child, and raised her as his own daughter. He warned her not to tell anyone she was a Hebrew. When King Ahasuerus saw Esther, he was very pleased! He set the royal crown on her head, and she became his wife and queen. Then the king gave a big party to celebrate! Mordecai often sat by the palace gates to hear how Esther was doing. One time, he overheard men plotting to kill the king. Mordecai warned Esther, and she told the king. The bad men were arrested, and Mordecai’s good deed was written in the king’s record book. Later on, a powerful man named Haman became angry at Mordecai. Haman knew that Mordecai was a Hebrew, and he encouraged King Ahasuerus to make it legal to kill all Israelites. Esther knew this law meant that she too must die. “I will do all I can to change this,” she said to Mordecai. “Even if it means that I am killed. Please ask my people to pray for me.” And Mordecai did. Haman to be hung that very same day. Esther and her people were safe! When Mordecai asked for Esther’s help, he assured her that God was going to bring his people through the difficulties they faced. If Esther refused, then she would receive punishment along with the people who wanted to kill the Hebrews. But Mordecai also challenged Esther. Perhaps this was the reason the LORD had placed her in the position of being a favored queen. It took courage and boldness for Esther to approach the king without being invited. She was literally risking her life. We, too, may have to risk all that is dear to us when we speak up for what is right. But, like Esther, we can be sure that the results of our efforts are in God’s hands – even if it costs us our lives to do what is right. When we trust God, things in our lives don’t happen by accident. You may be in the place where you are “for a time like this”.